The GE (genetically engineered) goat experiments by AgResearch in New Zealand are having an unintended twist. The surviving GE pregnancies are mostly producing transgender offspring, or “goys”. An AgResearch employee revealed that most of the genetically engineered goats are transgender. About 75% of the offspring are goys, while the others are female. The goys are said to be females in sterile male bodies. Further, they will be induced into milking to determine if a GE human protein is present in their milk. Before these experiments, there have recently been GE cow pregnancies in China, and they gave a success rate of only 5%. 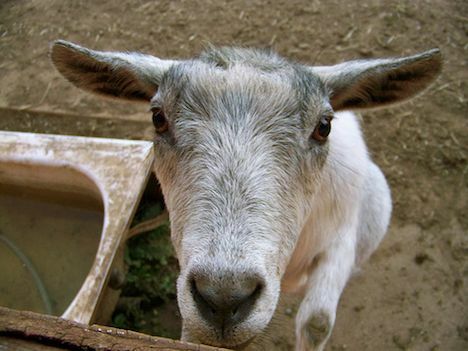 The recent goat experiments are expected to have a success rate of 15%. These goats have been raised in the Ruakura science facility in Hamilton, New Zealand, where experiments are being carried out to develop pharmaceuticals. Dr Jimmy Suttie, the general manager of AgResearch has said that the goat offspring are transgender due to the cell line that was being used to produce them. It isn’t related to their genetic modification. He said that the genetic modification did not raise any animal welfare issues and they take animal ethics seriously. All their experiments were administered by an in-house animal ethics committee and vets, and nobody had any issues. The potential shifting of genetic material from one creature to another which isn’t its offspring has raised issues. Critics of genetic modification see it as a possible hazard since altered genes can be passed from species to species. What are your views on this type of research? Do you approve of genetic engineering? Do let us know through your comments.